Spinelli Real Estate is a family owned business with with sales from Bulli to Kiama. When you deal with Spinelli Real Estate, you have a skilled sales team, trained negotiators with an impressive track record who will always act in your best interest to give you smarter marketing at a better price, just ask any of their valued clients. Quality marketing at no cost. I will promote your property on the major real estate websites and include marketing in the realestateworld magazine I will include a "feature" listing for one month on realestate.com.au website for free, so when people search for a property in your suburb on the website your property will be one of the top. Free professional photography and floor plan included. Full colour brochures and quality flyers distributed in the area. We are currently running a free Auction marketing package valued at over $2,000 to vendors listing their properties for sale. I had Paul manage and sell my property in Windang. I had a few issues with the tenant and Paul's professional style got the property over the line at a price that exceeded our expectations. He took care of everything for us, we did not have to do a thing. Paul also sold our grandmother's house on the first week it was on the market. I can highly recommend this agent, just leave it up to him. 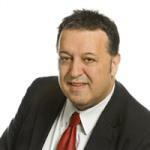 I engaged Mr Paul Spinelli to market my investment property in Figtree. I was pregnant at the time, and stressed. Paul took all the pressure off me arranged for some tenants, so I had some cash-flow, while he marketed the property. The pictures and presentation looked awesome, which attracted more prospective buyers to achieve the result I wanted. I have used him again on another property. We purchased a house through Paul Spinelli. We had been looking for 6 months. It was truly refreshing to find an enthusiastic and polite agent who truly cared about our circumstances. We had a million and one questions for this man, he answered most of them, and the ones he couldn't he came back to us the same day. He always returned his calls, follows up, and when he recommended a solicitor for us, it turned out to be an old friend of ours. We can recommend this man.